The Pinstripe® Coated features midrange tones with low-end and increased durability. Constructed with 2-plies of 7-mil Clear film, Pinstripe® Coated drumheads have an overtone reducing agent applied between the 2-plies providing overtone control with increased attack. The Pinstripe® series is one of the world’s most popular drumheads. Available in sizes 6" - 30". 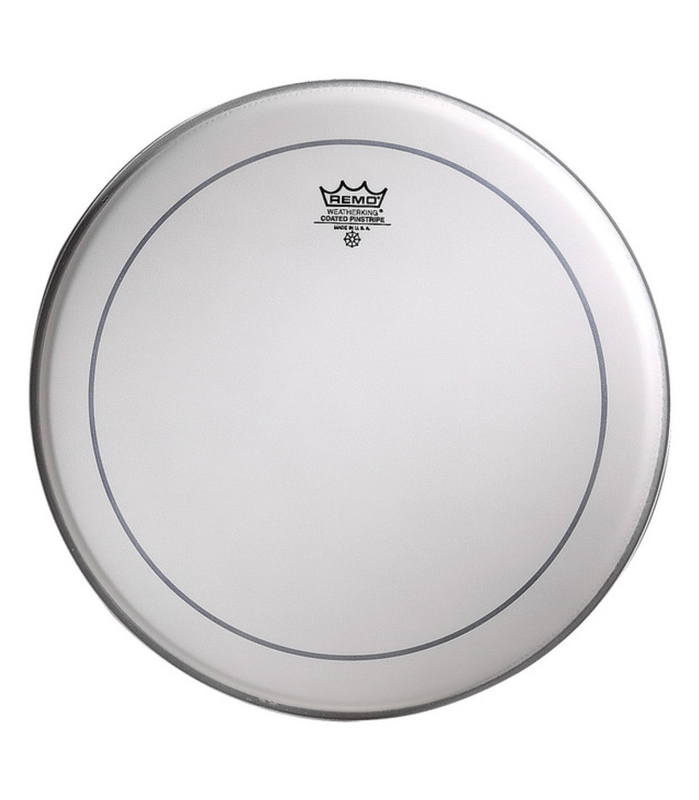 Batter Pinstripe Coated 14 Diameter from Remo is 100% original and brand new. We, at Melody House take pride in our after sales service and support. For further details on the batter pinstripe coated 14 diameter, Remo, simply write to us to consult an expert or order online and we will take care of the rest. Happy Shopping!